ARRS has under section Facts and Figures published data on the volume and structure of its financing for the 2017. 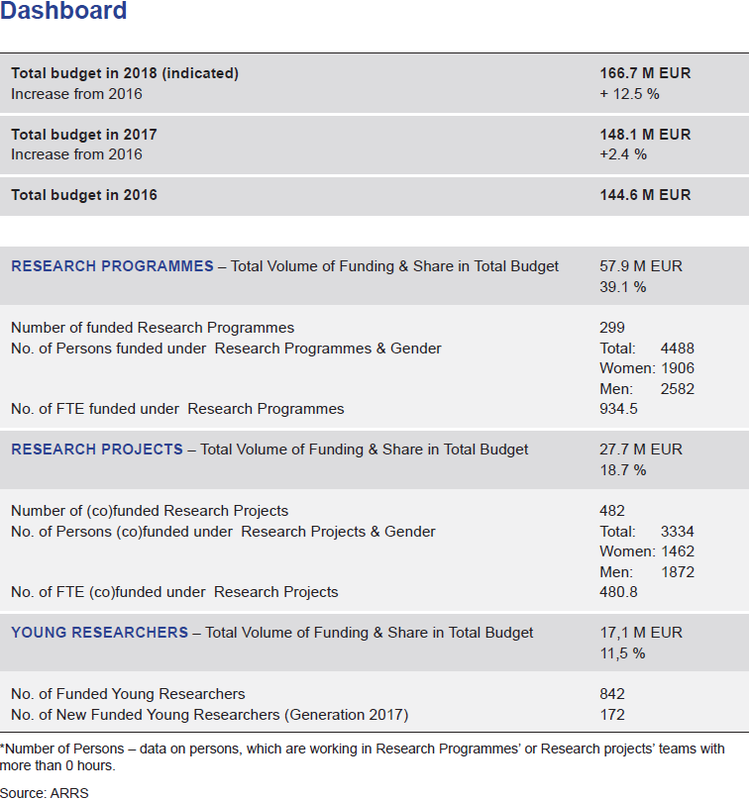 Comprehensive sets of data are available and sorted by mechanisms of ARRS funding, complemented by graphs, showing comparative and trend analysis over the years. Where relevant, data on shares of funds by discipline, gender and age are available. In 2017 the ARRS marked the second consecutive increase of its overall budget since 2011. The forecasts on further economic recovery made by the national Institute of Macroeconomic Analysis and Development of the Republic of Slovenia (IMAD) are encouraging. The ARRS is hopeful that moderate increases of 2016 and 2017 will be reinforced in the next couple of years.